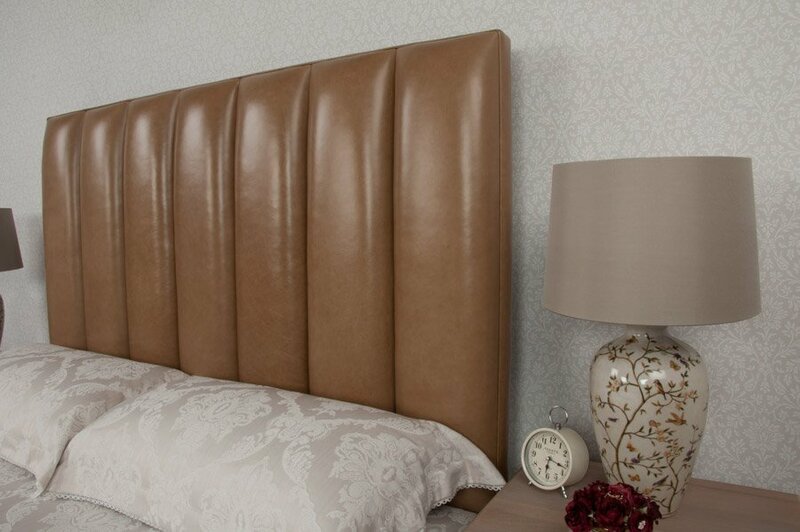 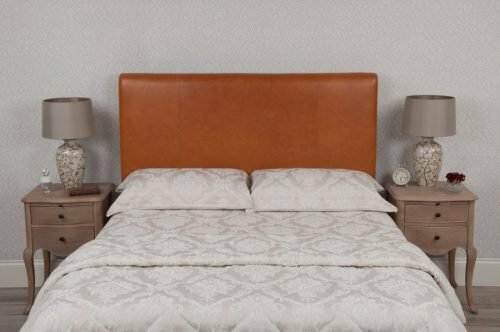 Contemporary trends in design and made specifically to fit in perfectly with today’s modern lifestyle environment, this leather headboard will definitely make an immediate impression in the right bedroom. 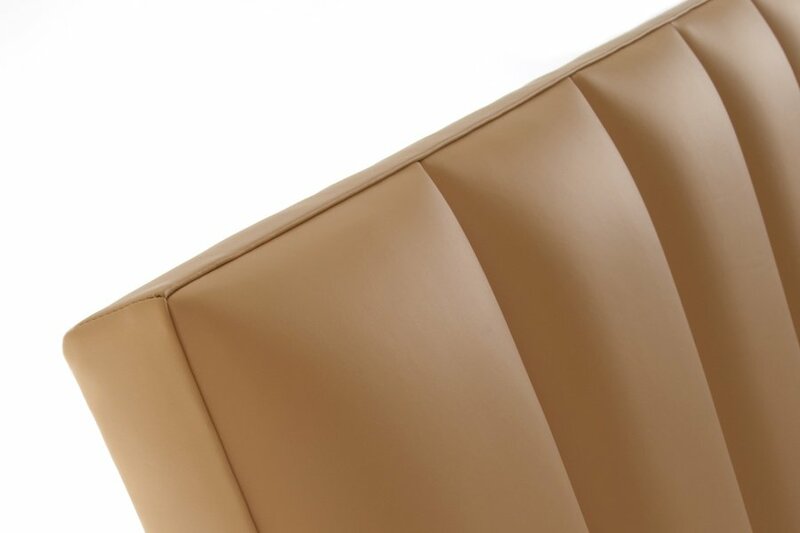 Again high quality craftsmanship is the order of the day here. 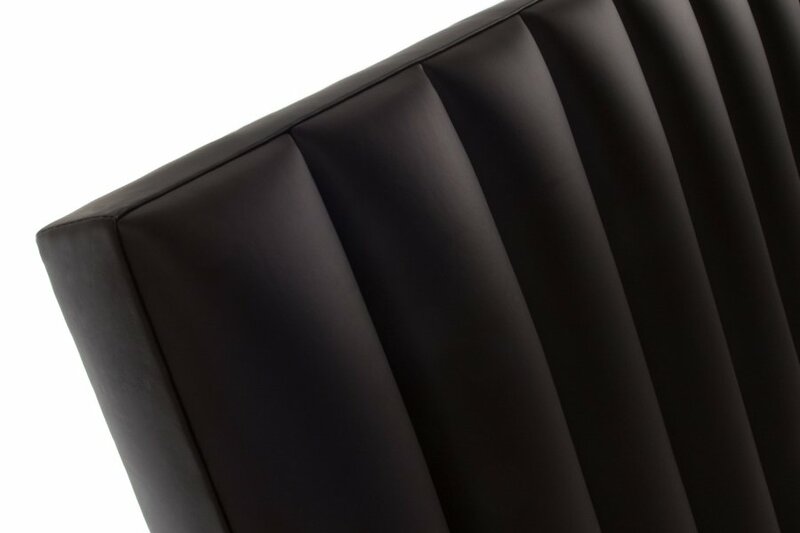 Every vertical panel is cut from separate sections of wood and foam before they are skillfully covered in leather. 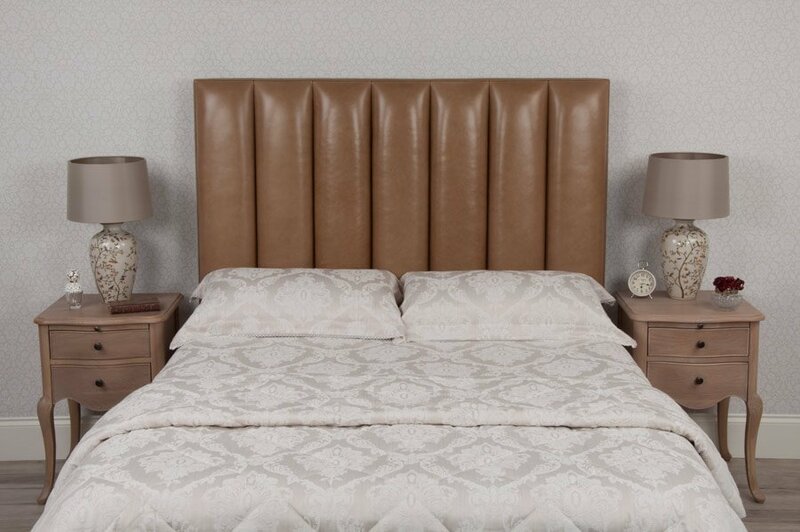 Finally all the flutes are secured together on a strong wooden frame and a leather border is applied to complete the headboard. 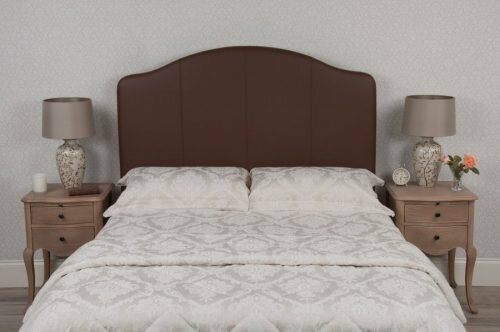 The geometry of this design with it’s semicircular flutes running vertically up the headboard really do deliver a superb effect.